If you're short on time and want to experience the absolute best of Beijing and the Great Wall, then this tour is a perfect fit. After a morning pick-up we'll start our day with a tour of the Forbidden City, which is probably the most famed attraction in Beijing (and possibly all of China). After a few hours touring we'll drive out to the Great Wall at Jinshanling where we'll begin our hike. On this hike you'll see watchtowers, stately brickwork, dramatic ruins, and awe-inspiring views. 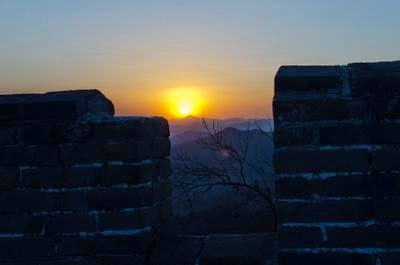 To top it all off you'll get to be on the Great Wall during the sunset, giving you a once-in-a-lifetime moment that can only be had on the Great Wall.